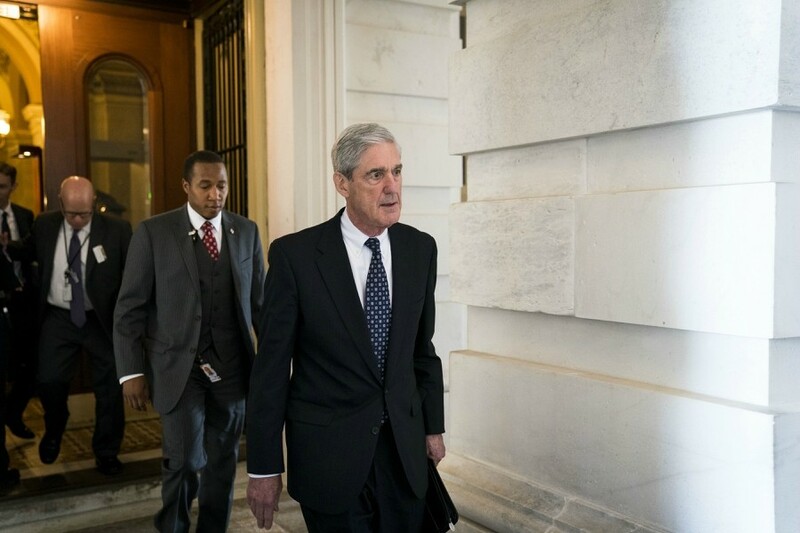 Robert Mueller, the special counsel investigating Russian interference in the 2016 election, at the Capitol in Washington, June 21, 2017. Mueller charged 13 Russian nationals and three Russian organizations on Feb. 16, 2018, with illegally using social media platforms to sow political discord, including actions that supported the candidacy of Donald Trump and disparaged his opponent, Hillary Clinton. WASHINGTON — The special counsel investigating Russia’s interference in the 2016 presidential election charged 13 Russian nationals and three Russian organizations Friday with illegally using social media platforms to sow political discord, including actions that supported the presidential candidacy of Donald Trump and disparaged his opponent, Hillary Clinton. The indictment represents the first charges by the special counsel, Robert Mueller, for meddling in the 2016 presidential election — the fundamental crime that he was assigned to investigate. In a 37-page indictment filed in U.S. District Court, Mueller said that the 13 individuals have conspired since 2014 to violate laws that prohibit foreigners from spending money to influence federal elections in the United States. The indictment charges that the foreigners falsely posed as U.S. citizens, stole identities and otherwise engaged in fraud and deceit in an effort to influence the U.S. political process, including the 2016 presidential race. “The nature of the scheme was the defendants took extraordinary steps to make it appear that they were ordinary American political activists,” Rod J. Rosenstein, the deputy attorney general overseeing Mueller’s inquiry, said in a brief news conference Friday afternoon at the Justice Department. Though the Russians are unlikely to be immediately arrested, they are now wanted by the U.S. government, which will make it hard for them to travel or do business internationally. All were charged with conspiracy to defraud the United States. Three defendants were also charged with conspiracy to commit wire fraud and bank fraud, and five defendants with aggravated identity theft. Individuals involved in the conspiracy traveled to and around the United States, visiting at least eight states, court papers show, and worked with an unidentified American. Rosenstein said repeatedly that the indictment does not allege that the Russian operation changed the outcome of the presidential election.